This seminar will introduce students to computational design approaches to develop an architecture informed by the play of sunlight – both in terms of its daylight qualities (visible spectrum), and in terms of heat (solar spectrum). The seminar will introduce students to industry leading digital design workflows, to optimize various quantitative aspects of architectural design. The seminar will explore themes of form optimization at a building and urban scale. The seminar will start with a basic introduction to Grasshopper, a graphical algorithm editor for Rhinoceros. 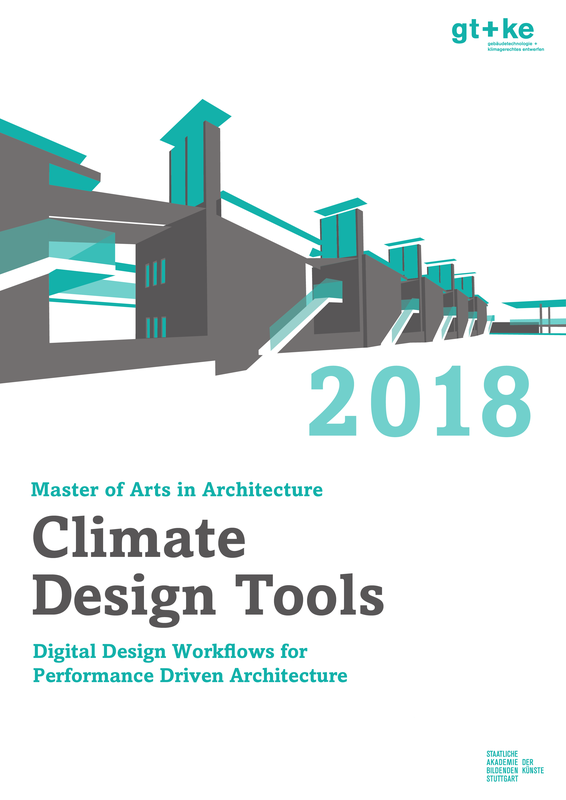 It will then go on to develop a gradual understanding of digital workflows for understanding and implementing basic concepts such as climate analysis, sun-path, shading masks, irradiation modelling etc and culminate with an advanced understanding of integrated climate-based daylight and thermal performance-evaluation. Students will be introduced to the different parameters that constitute ‘Thermal Comfort’ and also introduced to comparative evaluation of different building materials and glazing systems. The learning outcome of the seminar will be how the sun can inform, and enhance the form. Form Follows Sun. Master of Arts in Architecture | Seminar, Lehrangebot Schwerpunkt Design_Technologie – Sondergebiete des nachhaltigen Bauens, Klasse für Gebäudetechnologie und klimagerechtes Entwerfen, Prof. Dipl.-Ing. Matthias Rudolph, Hamza, Mohammad, BA. Arch. MSc. cand.